Monte Sobretta (3296 m) raises above Santa Caterina Valfurva, in the Lombardy province in the Italian Alps. You cannot miss it from the village; you see it as a huge massive which raises above the village in the southwest direction. Latitude: 46.397987 (46° 24′ 0″) N.
Longitude: 10.437796 (10° 26′ 0″) E.
Altitude: 3296 m (10814 ft). Monte Sobretta as seen from the summit of Pizzo Tresero. There are two direct approaches to the point from where the normal route starts. 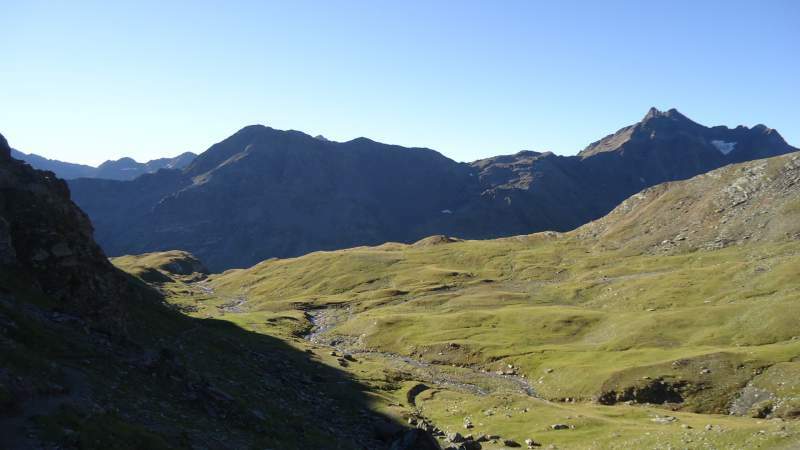 From the south, you have the road from Ponte di Legno which goes over the nearby Gavia pass. From the north, this is the access from the Santa Caterina village. From the village you just follow the signs toward the Gavia pass. Very soon you will be zigzagging through the forest and when you are above the tree line you will see a U-turn with a big table on the right where you have a map of the area. The parking is on the left side of the road just before the bridge. 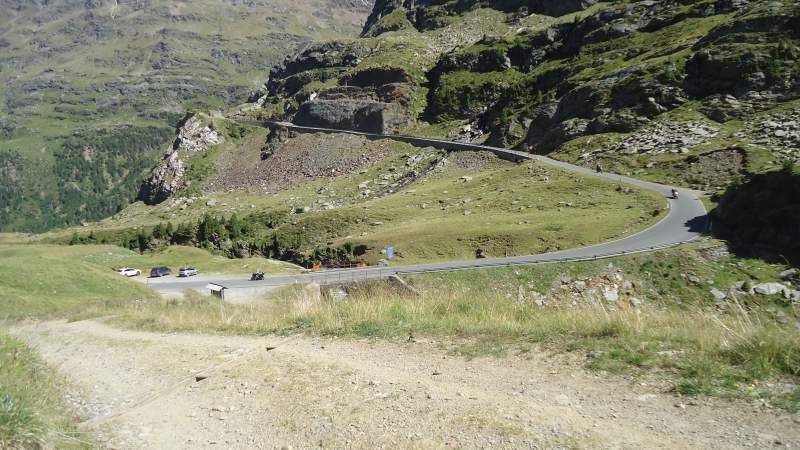 This start point is at around 2300 meters above the sea level. The height difference from the parking to the summit is around 1000 meters. From the main road, you continue by following a path along the valley in the southwest direction. There are no fixed chains, ropes or cables, no glacier or snow on the route in the summer time. The route is always mild and pleasant, no exposed sections of any kind. At some point, you will see the sign towards Sunny Valley. 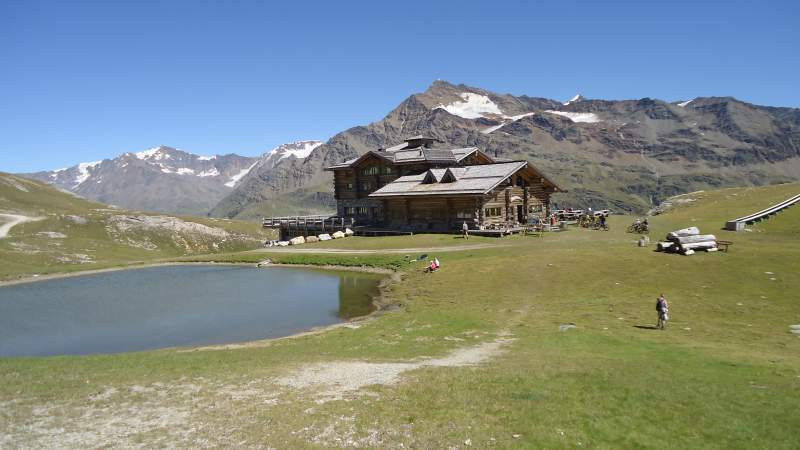 In some maps, it is marked as a rifugio (refuge), but in fact, this is a very attractive restaurant at the end of the lift lines from the Valfurva valley. It is at some 2600 meters above the sea level. You can go this way if you want, but if you prefer solitude and not to see lifts around, just continue in the same southwest direction. Sunny Valley restaurant and Pizzo Tresero in the background. Very soon the route will turn northwest and you will be enjoying views with meadows around you. There is a nice water stream on your left and you will follow it for an hour or so. Pizzo Tresero is in sight all the time in the east direction. When you reach a plateau at around 2700 meters, you will see lifts in the distance, and you will turn westward. 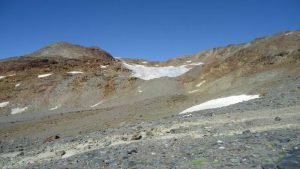 The path is clear, there are cairns and marks, so the orientation is never a problem, but the summit cross is not visible. The final slope below the summit is a bit steep but this is always just a walk up. There are no glaciers on the route but you will see one on the left, see the photo below. 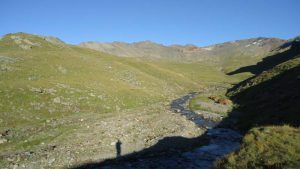 If you continue up along the Gavia road you will arrive at Refugio Berni. It is directly on the road but this is a true mountain hut. You might want to know they have showers with hot water. Here I give two links for you, just in case: link-1, and link-2. 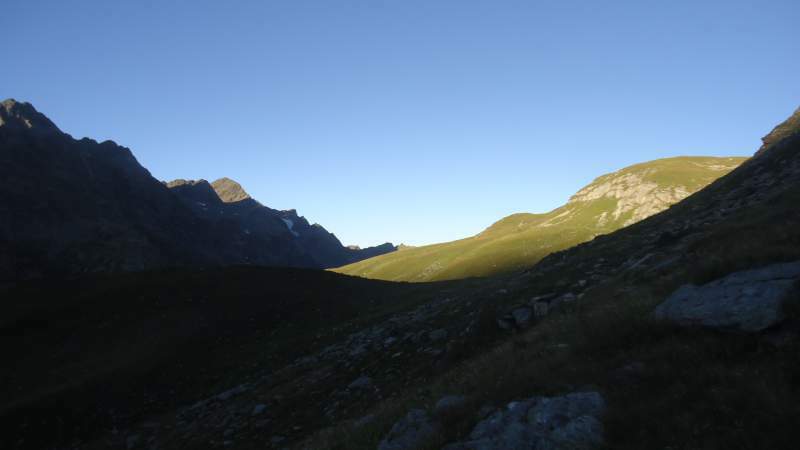 Very high on the route to Tresero you have a typical alpine refuge Bivacco Seveso. Yet another place where you can spend a night, though equally far from the road is Bivacco Battaglione Ortles, which is described in this site and which I warmly recommend to visit if you can. This is an exceptional place in every sense. If you need a flat for vacations in this part of the Alps, please visit my another text. 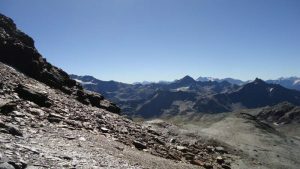 I climbed Monte Sobretta in summer 2016 by following the route described above. It took me 4 hours in total, started at 6:40 am and I was on the summit at 10: 40. Nobody around all the time. It was the day after climbing Pizzo Tresero so I was not in the best shape, but I truly enjoyed the solitude of the climb and the beauty of the surrounding area. The weather was just perfect. 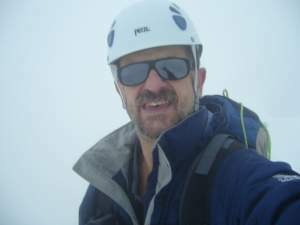 I spent a lot of time on the summit, enjoyed views, having some breakfast and taking a nap for some time. On the way back I descended towards the Sunny Valley area. It was full of tourists and families with kids, no surprise in view of such a beautiful day. After having a coffee there I descended and soon was on the route which I passed in the morning. What to say more, just a perfect day in the Alps. First sunlight, on the lower part of the route. View in the direction of the summit, in the middle of the route. A small glacier off the route. On the final slope below the summit. Parking on the Gavia road. 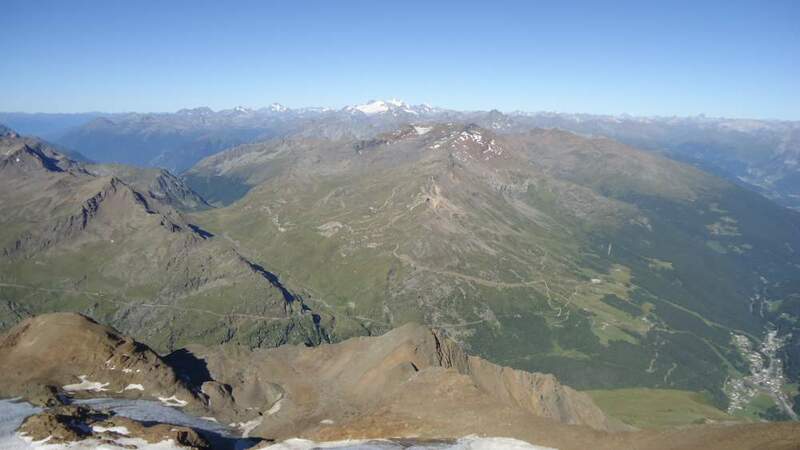 Valfurva as seen from the summit and Gran Zebru in the distance. So this is what I had to say about this beautiful mountain. 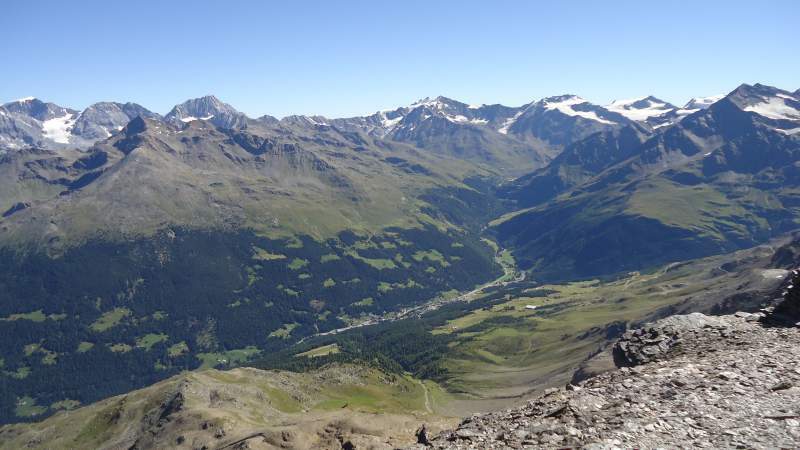 It was a perfect day, but it is not always so in the Alps. Read here about some other tour nearby, just across the valley. Thank you for reading, it will be great to hear from you, there is a comment box below.